When those words appear on the screen either during a trailer or prior to the start of the film, they carry a lot of weight with them. Whatever follows, no matter how seemingly unbelievable and absurd the story appears to be, the viewer now has those five words lingering in their mind throughout, a reminder that common sense needs to be left at the door because reality is being depicted up on that giant screen. Sometimes, though, the true story tag is put on a film that is far more fiction than fact. Sometimes that common sense you were asked to ignore was correct all along, the belief deep down that what you are seeing couldn't possibly be accurate is proven right, and usually finding this out invokes anger in people. My question is, why do you care? Joel and Ethan Coen famously started off their Oscar winning film Fargo with the proclamation that it was based on a true story and then later admitted that it wasn't. They explained that by doing so, they were hoping people would be willing to suspend their disbelief in the story and you know what? It worked, and I think it is was a pretty brilliant move because at the end of the day, the goal is to deliver the best cinematic experience possible, to entertain and enlighten with a story and the characters that occupy it, whether it be completely by the book truth or a work of absolute fiction. 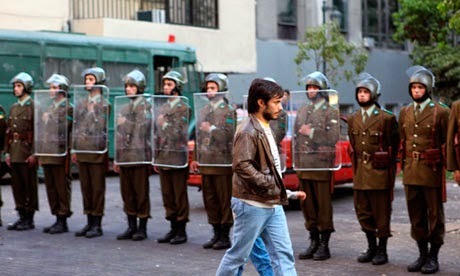 The Pablo Larrain film No depicts the 1988 campaign to remove Chilean dictator Augusto Pinochet from office when a referendum was voted on with a simple yes or no answer. Yes means Pinochet remains for another 8 years, no gives the people of Chile a freedom from oppression that they never dreamed possible. Both sides are allowed to air 15 minutes of advertising on television each day to try and sway the vote in their direction, and the film follows a man named Renè (Gael Garcìa Bernal) as he deals with threats due to being at the forefront of the "no" movement. No is criticized by some for being a highly fictionalized version of what really happened, a perfect example of this being that Renè never actually existed. He is nothing more than a character created for cinema, but why this fact is upsetting to people I do not understand. Perhaps the truth simply isn't as interesting as fascinating lies, and the end result of this film is certainly just that, with top notch performances across the board but especially from Bernal in the lead. He is naturally charismatic and the perfect fit for the role that may, yes, be fictional, but his inclusion is vital in the success of the film. At first glance I was bothered by the rather ugly look to No due to the quality of camera being used to film it, but as it continued on I realized that it was a crucial factor in making the movie feel authentic. It truly looks and feels as if this was filmed in 1988 when the actual vote took place, and this somehow manages to make the story feel tense and exciting despite the fact that we know exactly how it will conclude from the moment we press play. No is a well crafted, smart film that serves as both a political drama and also a satirical look at how marketing and the media are able to manipulate people into believing the message they wish to convey rather than the truth. Ironically, this is kinda like the film itself as it distorts reality and tells a more interesting and cinematic story than what really occurred, wanting the audience to care about their fictionalized version of events. Which, when the end result is this good, is just fine with me. Very good. Myself being a political junkie, I find it fascinating how politics and government are handled in different countries. Gael Garcia Bernal is one of my favorite actors. 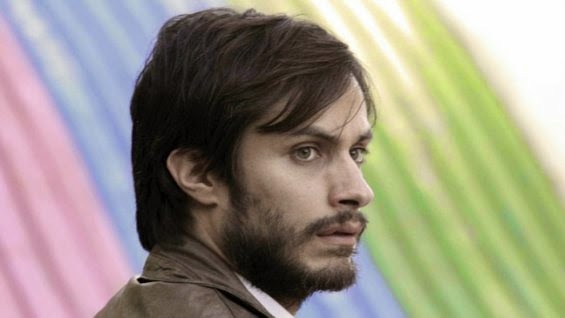 I loved him in The Motorcycle Diaries, Y Tu Mama Tambien, and the recent Amazon series, Mozart in the Jungle. Rosewater is next on my list to see. I gave this 7 out of 10. I have seen Motorcycle Diaries and Y tu Mama Tambien, both very good. Do you recommend Mozart in the Jungle? Wasn't sure if I should give that show a spin. Oh, and I now own Rosewater on Blu-ray, won it in a random drawing on Blu-ray.com. Haven't watched it yet though, will soon enough.